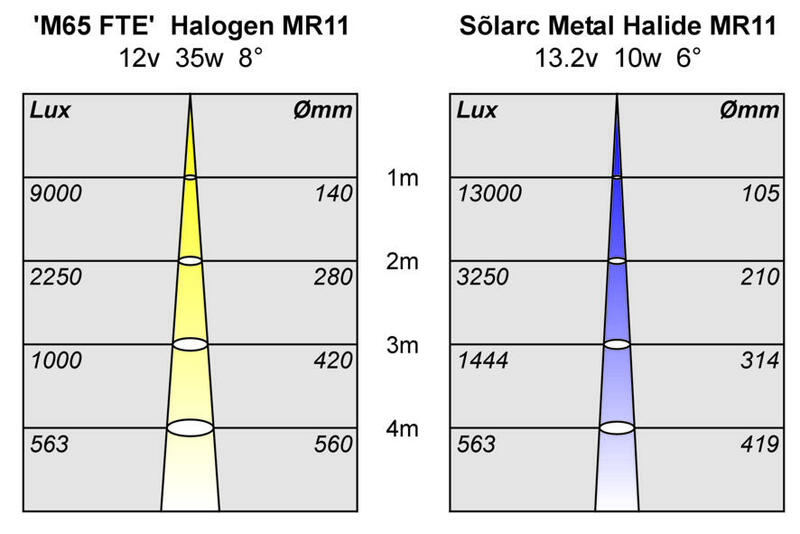 Welch Allyn's Sõlarc series of metal halide lamps represents the ultimate achievement in reducing the size, and wattage of metal halide light source technology. The lamp illustrated here is the 10W rating, the smallest commercially available lamp - although prototypes as small as 2W were made. The arc tube is AC driven and supplied as a complete system of lamp combined with an appropriate ballast. The ballasts are available in a number of different configurations, all for DC-driven battery powered applications. 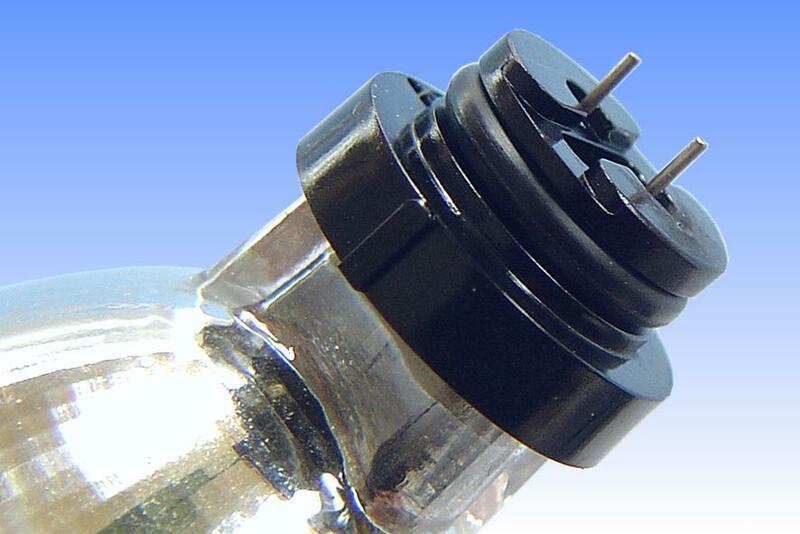 The ignition peak is 6.0 kV, and breakdown is facilitated with a starting antenna. 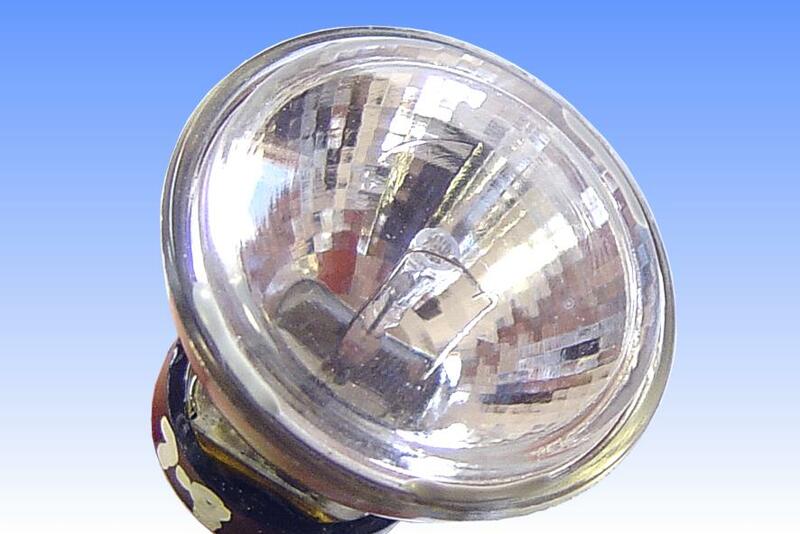 The lamps achieve an unusually high efficacy, the raw 10W arctube operating at around 53 lm/W. 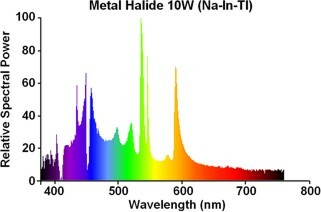 This results partly from heavy doping with thallium and indium iodides, and consequently the lamp produces a strongly blue coloured beam. 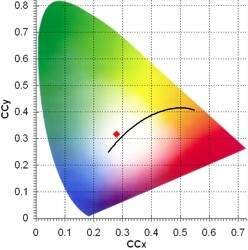 The wall loading is of the order of 25-35 W/cm² and the strong re-absorption of the indium peak is evident in the spectrum below. The arc tube filling is 500 torr argon. 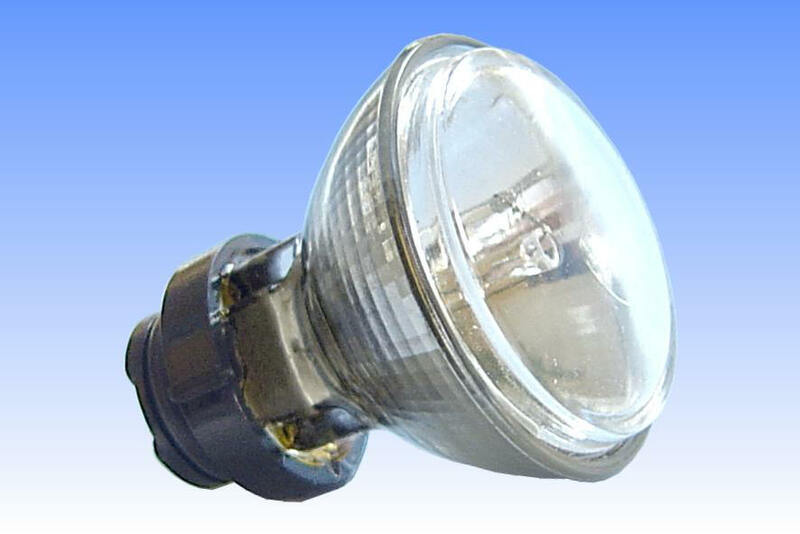 The principal market for this lamp is as a low current alternative to tungsten halogen reflector lamps in professional battery-powered applications. Its strongest feature is the low wattage compared to equivalent output halogen lamps, which offers important potential to extend battery life. It has found applications in bicycle headlamps, underwater diving lights, fibre optics and professional torches and flashlights. It is intended for horizontal burning, but can be operated in other positions - although the colour of emitted light is strongly dependant on the burning position.